Links to a list of South Dakota Radio Stations, Broadcasting Stations, and Web Radio with call frequency, description, location, and format, which includes most public and private FM and AM radio stations in the United States. Also find radio stations airing America Top 40 hits (AT40.) Use this listing of Radios in South Dakota for information on local issues, politics, events, celebrations, people and business. The amount of information available in electronic format varies. Located here a listing of Radio Stations in South Dakota that can be found online. If you're a born conversationalist and like attention. If that sounds like you, a radio broadcasting degree could be the right choice to help you launch an exciting new career in South Dakota. Multiple forms of media, including radio, television and digital media are covered in most undergraduate broadcasting degree programs. Associate's and bachelor's degrees from an South Dakota school in radio broadcasting provide students with the skills needed for entry-level jobs in the field. 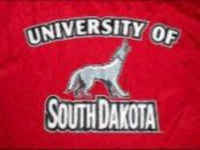 Programs in South Dakota schools are designed to teach students theories, methods, and techniques used to plan, produce, and distribute audio programs and messages, and that prepares individuals to function as staff, producers, directors, and managers of radio shows and media organizations. Students often staff on-campus radio stations in addition to completing writing, reporting and media studies. The best programs in radio broadcasting provide students with hands-on experiences that can be used in the job market.